We are committed to searching out the needs and challenges in the communities we work in, and seeking to address them. We seek to serve as a catalyst to make things happen. We work with Governments as well as NGOs and churches. We partner with other indigenous organizations to help make their vision a reality. We convene gatherings of people from different works of life to work on particular issues. We continually search out needs in the communities we serve in and explore ways we can help meet them. We provide expertise and experience in the local community. We seek to complement and not to compete or duplicate. Facilitating and strategizing for maximum impact within the community. Funding the indigenous efforts as our means permit through CADAC. Enhance holistic health and quality of life of children, youth and families. Provide employment and entrepreneurship opportunities with emphasis on empowerment through micro-finance. Mobilize and leverage resources from internal and external sources, including individuals, private foundations and development donors. Build youth knowledge and skills training in information technology. 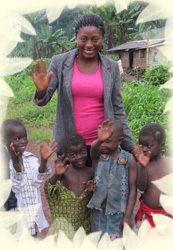 Empower people in communities we serve with skills for self-sufficiency.